This was an interesting one. The higher ABV definitely helped flavour delivery, but most interestingly was this musty note I picked up which I usually find in young Glenfarclases and was very surprised when I found out that this bottle has no sherry maturation as it is quite meaty. Really good stuff for the age and price. Honey. Red fruits. Toffee. Red licorice. Calvados. Sour beer. Butterscotch. Wet leaves. Musty. Slight sherry. Salty toffee. Bitter. Salt. Red apples. Cider. Yeasty. Tasty, interesting and very changeable - I have rewritten the notes several times during the tasting and I'm still not sure. Nice whisky for 40 € and again proof that Bourbon keg does not have to be boring. Aroma: Full of the classic scents of fresh green apples, ground spices and honey. Notes of oak-vanilla, leather and orange with hints of fresh cut flowers and smoke. 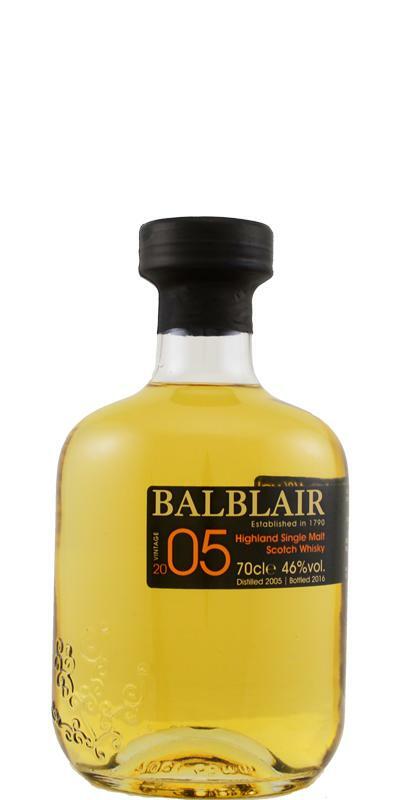 Taste: Balblair's signature style of citrus orchards is replaced by the intense sweetness of toffee and vanilla. Finish: Rounded off by a wonderfully spicy, long finish.